This is a plate of 2 cup cakes and 2 green candy canes. 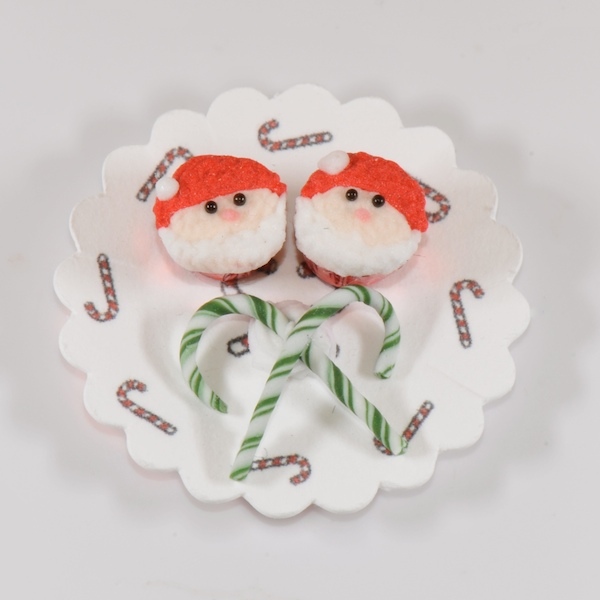 They come on a 1" paper plate that has tiny red candy canes all around it. 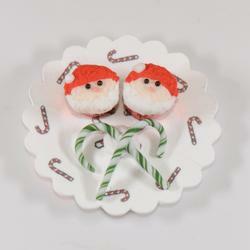 The cupcakes and candy are made from polymer clay. Each plate is unique and life-like.